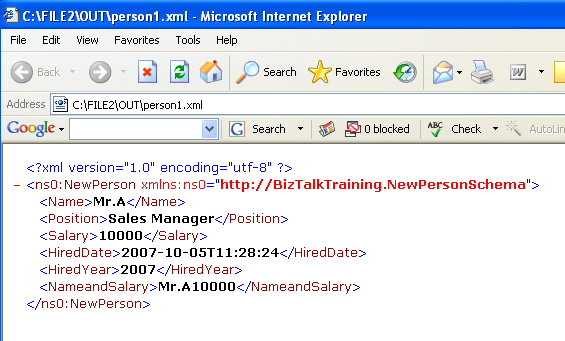 This topic will show how to use Functiods in BizTalk. 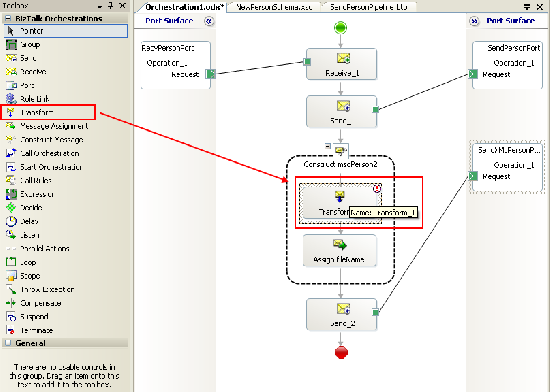 Functiods are like functions, they are objects in Map Orchestration. 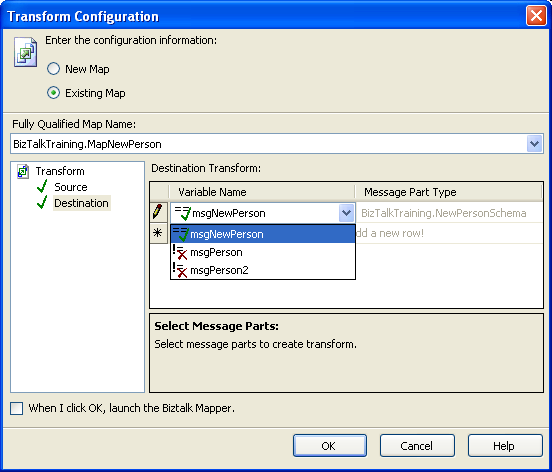 The purpose of Map is to mapping values from source message to destination message. For instance, you can use concatenate functiod to concat two elements from source message and assign to destination message. There are 9 tutorials in this training. 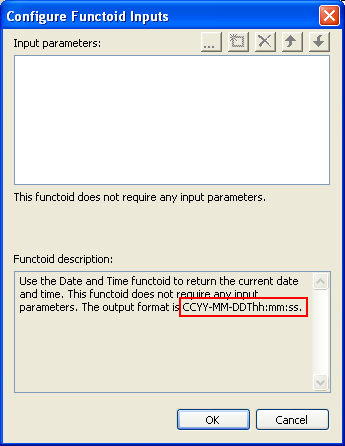 Learn how to use functiod to get current date time. Learn how to use functiod to concat two fields. Learn how to use functiod to add customize code. 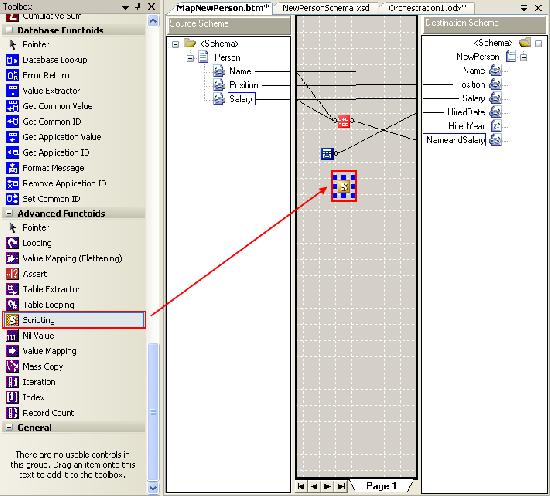 Configuration on BizTalk Administration for BizTalkTraining application. 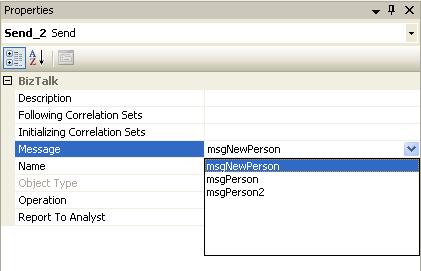 Create new person schema and message. Assign datetime functiod to map. 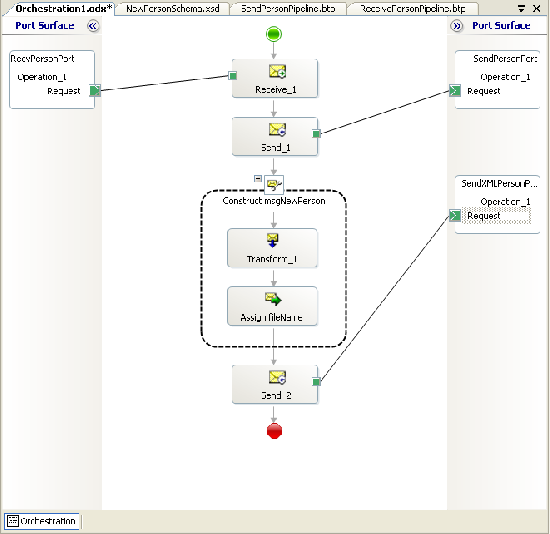 Assign concatenate functiod to map. 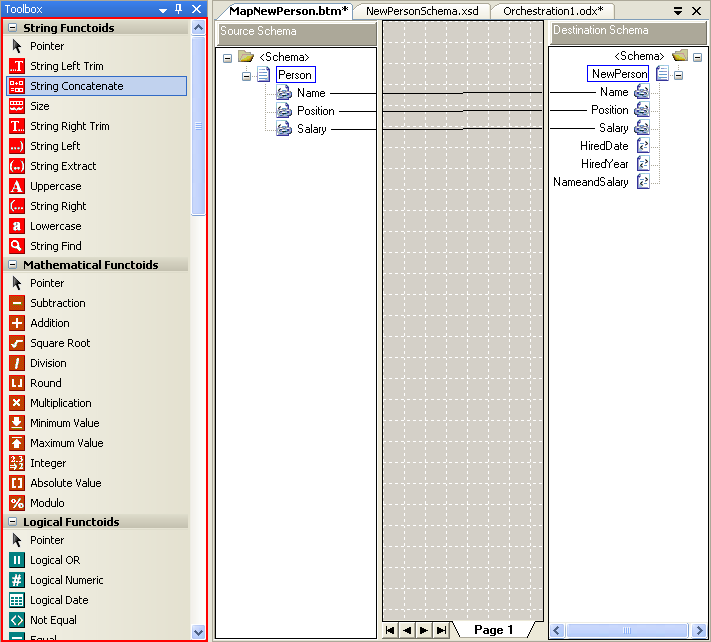 Assign scripting functiod to map. Deploy the project and test result. 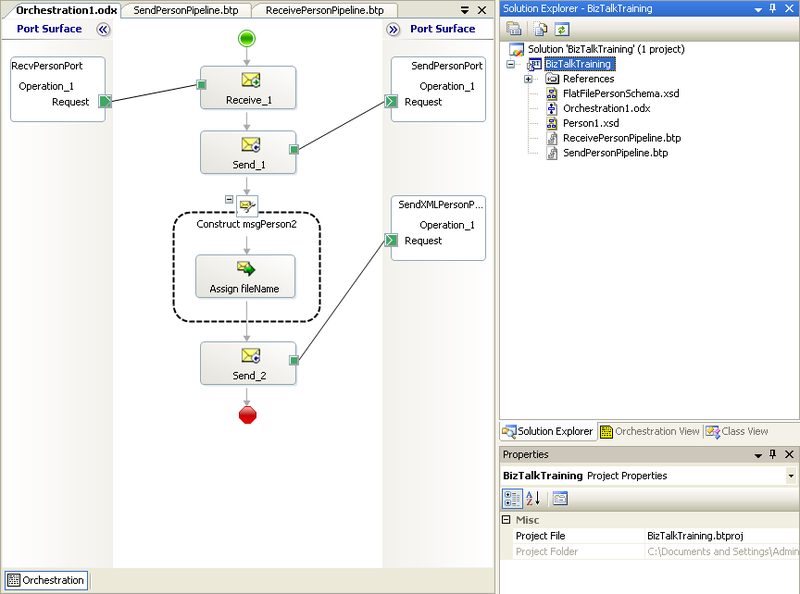 Open BizTalkTraining project. 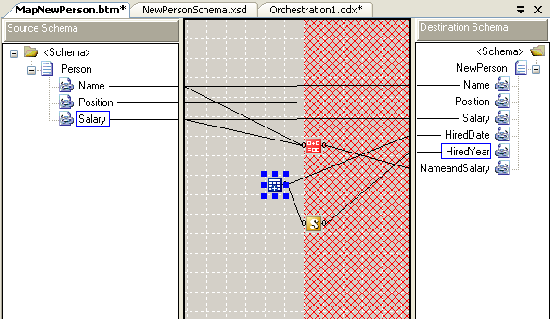 And open Orchestration1. Add new schema to the project name as “NewPersonSchema.xsd”. 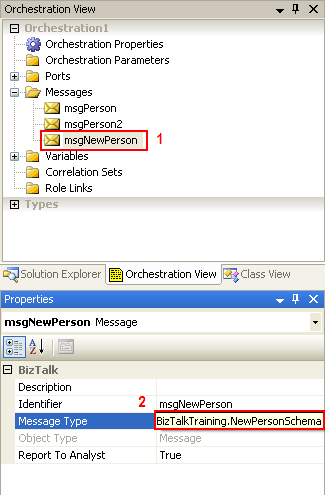 Create new Message “msgNewPerson” and assign message type to be “NewPersonSchema.xsd”. 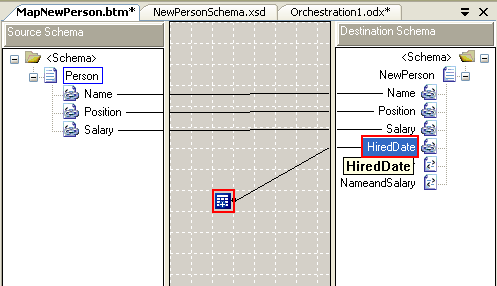 Add new Map item to Orchestration1 name as “MapNewPerson.btm”. New Map window appears, set source schema for mapping. Click on Open Source Schema. 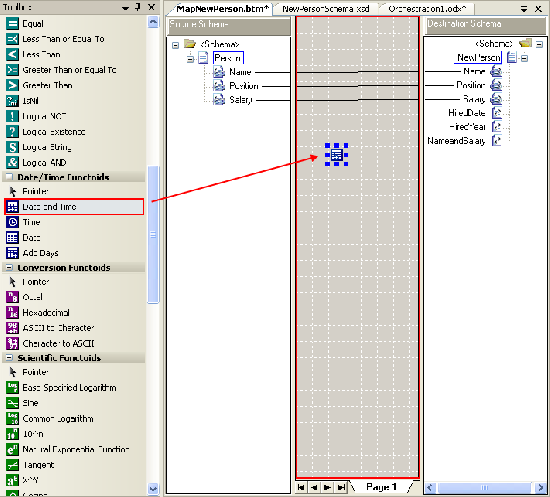 Set destination schema for mapping. Select “BizTalkTraining.NewPersonSchema”. 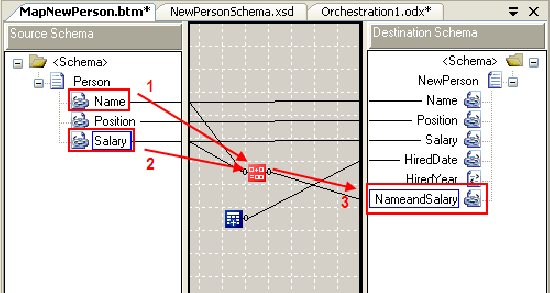 Drag Name element in Source Schema to Name element in Destination Schema. Do these on Position and Salary elements, too. Or you can click on Person root in Source Schema and hold shift button and drag to NewPerson root in Destination schema to get the same result. Assign functiod datetime to map. 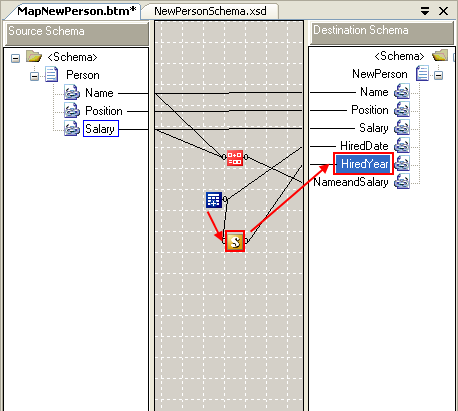 On MapNewPerson map, youâ€™ll see many functiods in Toolbox panel. Now Iâ€™ll use datetime functiod to generate current date and time to HiredDate element on Destination Schema. Scroll down to Date/Time Functiods, select Date and Time. 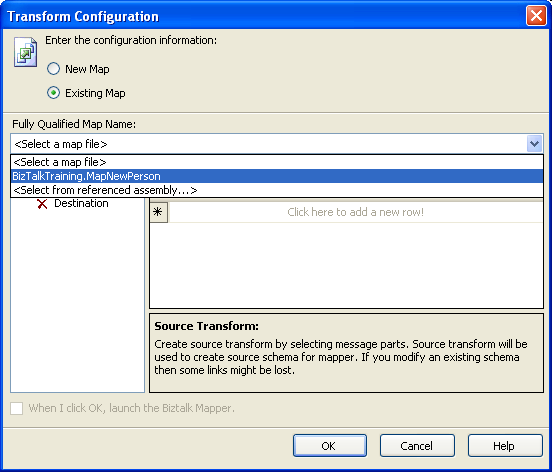 Drag it to map between the Source Schema and Destination Schema area. Double click on the functiod Date and Time, youâ€™ll see Configure Functiod Inputs window. Fuctiod Data and Time doesnâ€™t get any input, itâ€™ll will generate current date and time in CCYY-MM-DDThh:mm:ss format. Drag the functiod to HiredDate on Destination Schema to generate current date and time to HiredDate element. 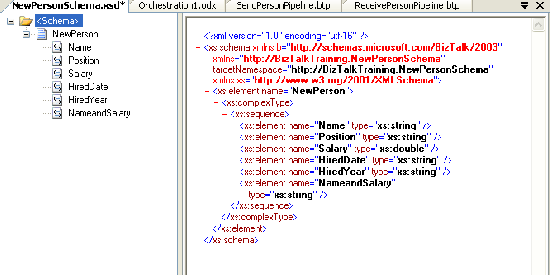 Now Iâ€™ll concatenate Name and Salary element in Source to NameandSalary in Destination. 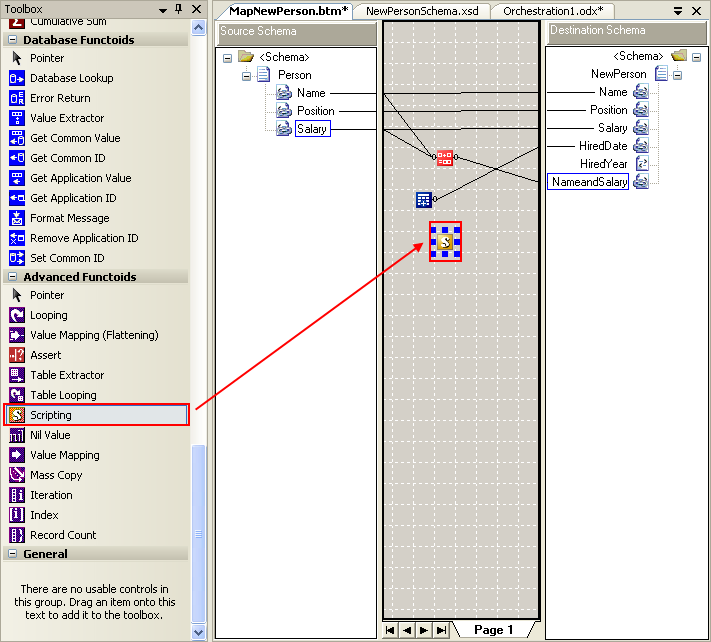 On MapNewPerson map, drag String Concatenate functiod to map area. Drag Name and Salary element on Source Schema to concatenate functiod and drag concatenate functiod to NameandSalary element on Destination Schema. Notice that the inputs will be on left side of the functiod and output will be on right side. 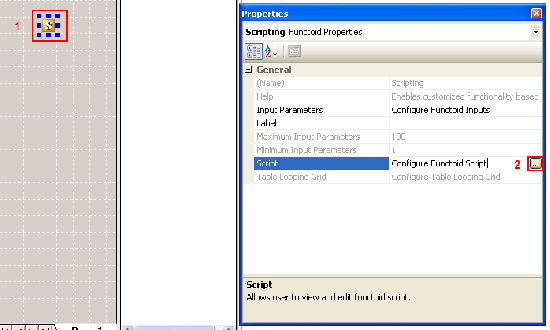 Scripting functiod allow you to customize your code. Now I want only year from datetime functiod to HiredYear element on Destination Schema. 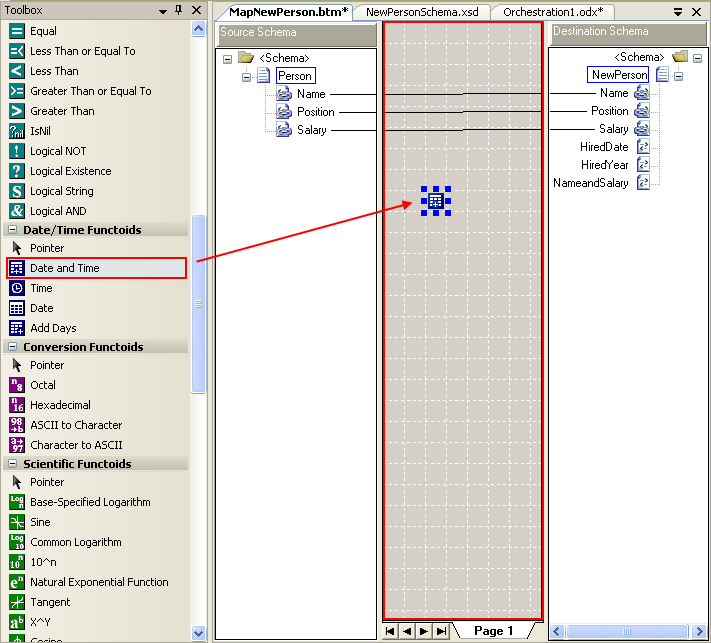 Again, drag Scripting functiod in Advanced functiods to map area. 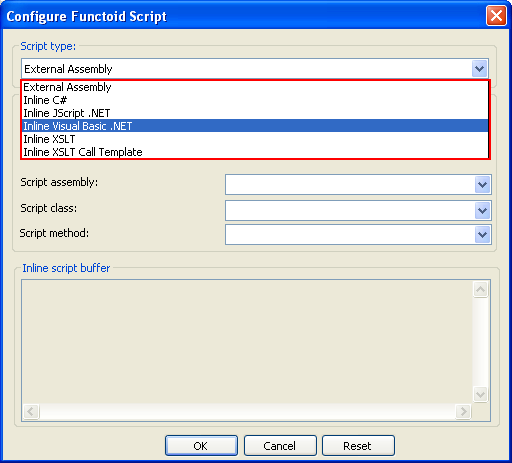 Click on Scripting functiod. 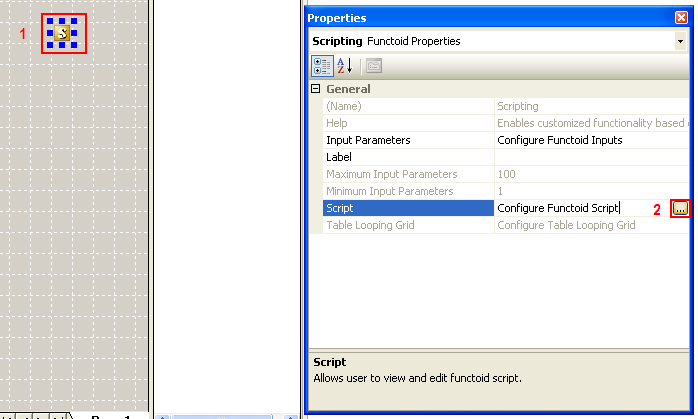 On Properties, click on the rightmost button in Script to configure script. Configure Functiod Script window appear, click on drop-down in Script type and youâ€™ll see that there are many type of script you can use but now Iâ€™ll use Inline Visual Basic.NET. Notice that when you click on Inline Visual Basic.NET, the comment code appear below in Inline script buffer. This is a simple script that does the concatenation of 2 inputs. Replace all the code with the code below. Drag the datetime functiod to the scripting functiod and also drag the scripting functiod to HiredYear element on Destination Schema. Note that if you want one functiod to be input of another you must place it on left side on the functiod. For instance, you canâ€™t place datetime functiod on the red area in the figure below if you want it to be input of the scripting functiod. 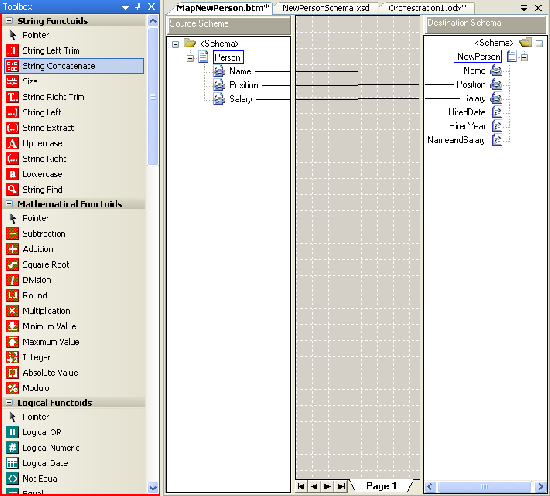 Drag Transform from Toolbox in “Construct msgPerson2” upper the “Assign filename” Message Assignment. Double click the transform object that youâ€™ve just added. 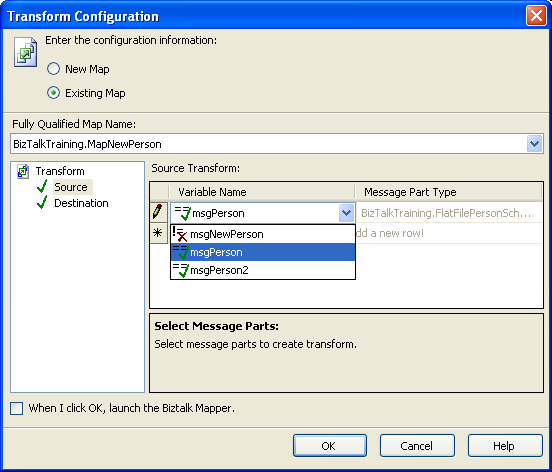 Transform Configuration window appears, select Existing Map and on Fully Qualified Map Name drop-down to select “BizTalkTraining.MapNewPerson”. Click on Source again to refresh the Destination and click OK.
Change Construct Message Properties and “Assign fileName” Message Assignment. 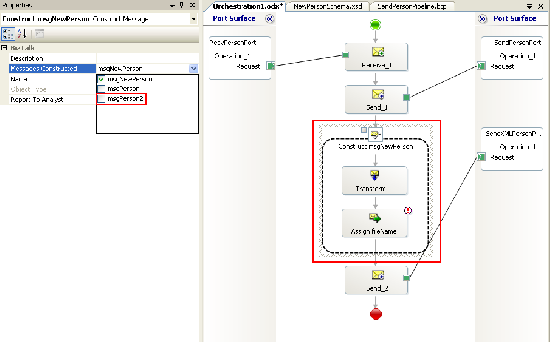 Click on “Construct msgPerson2” Construct Message. On properties, uncheck the msgPerson2 out from Message Constructed since we donâ€™t need msgPerson2 any more. And ensure that “msgNewPerson” is checked instead. Also, change Name to “Construct msgNewPerson”. 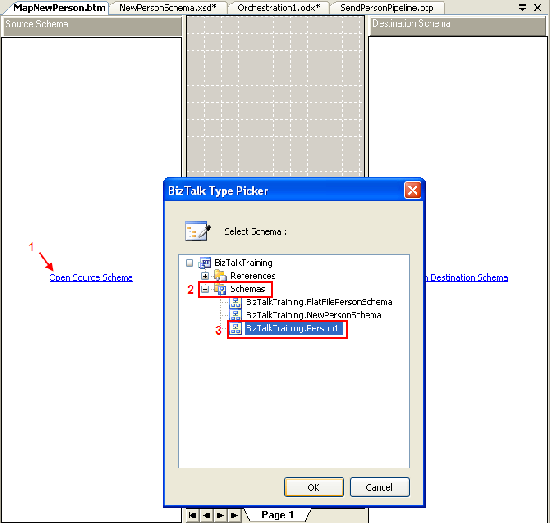 Double click on “Assign fileName” Message Assignment to alter the code. Replace the entire code with code below. Change message on Send_2 Port to “msgNewPerson”. 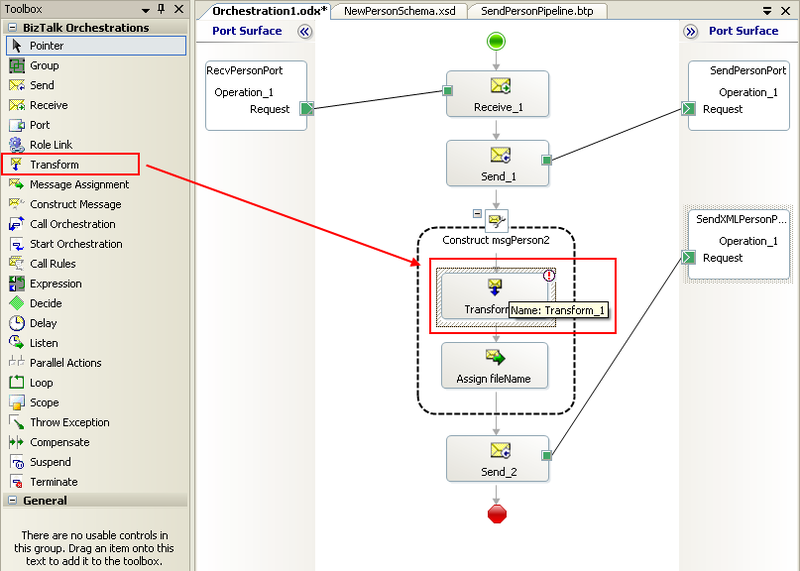 Break the green line between Send_2 and Send XMLPersonPort. On Send_2 properties, change Message to msgNewPerson. Change message type on send logical port. Click on Request on SendXMLPersonPort. On properties, change Message Type to “BizTalkTraining.NewPersonSchema”. 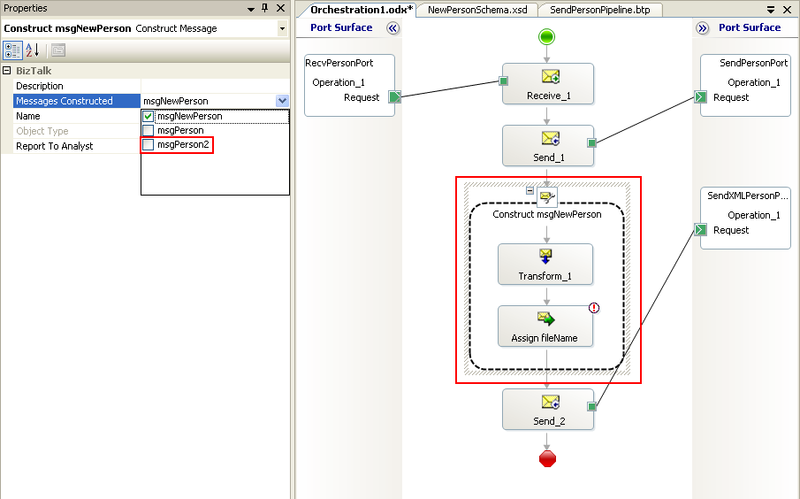 Reconnect the green line between Send_2 and SendXMLPersonPort. Open BizTalk Administration, restart the server host if it is running and refresh the application. Note: Again, ensure that you delete all files in C:\FILE2\OUT before. 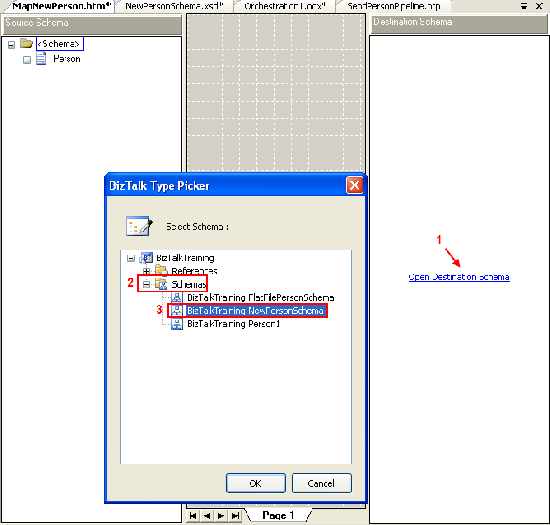 FILE2 folder which contains IN and OUT empty sub folders for test receive and send message and person1.txt which is an example text message.